Forward-looking: Could TVs that disappear into surfaces and ceilings be the next trend in consumer electronics? LG is launching a 65-inch OLED TV that can be rolled up and hidden away when its not in use. Dating back to CES 2016, LG was proud to show off an 18-inch OLED display that could be rolled up like a scroll. Often times early prototypes like this one never make it to market, but that is not the case here. Last year at CES, LG unveiled a 65-inch OLED TV that can roll up much like a motorized projector screen. Moving forward to present day, it is expected that rollable TVs will go on sale at some point in 2019 as real products that may actually be purchased. Although this is far from the first time we are hearing of flexible and rollable displays, LG is almost ready to bring them to the consumer market. OLED TVs only accounted for around 1.1 percent of the units sold to consumers this year, but sales are expected to increase nearly 70 percent next year. This is an increase from 2.35 million sold to a projected 4 million units. 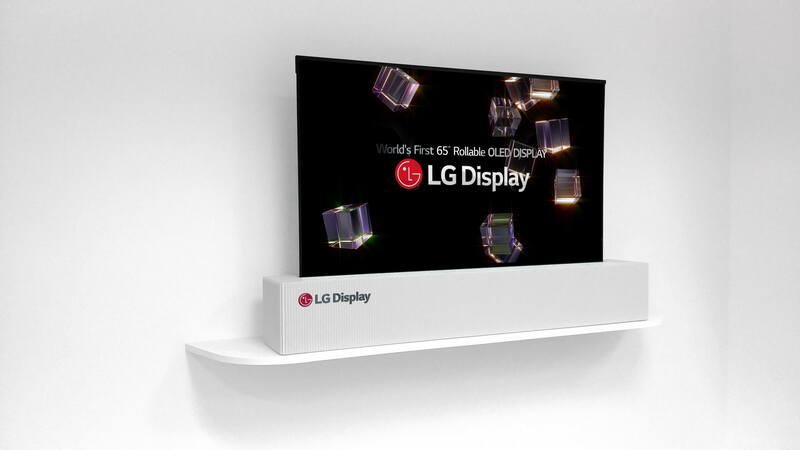 As pricing on 4K TVs continues to fall and the picture is so good on inexpensive displays that it makes it hard to justify paying a significant premium for OLED, LG is placing bets on the niche desire for flexible displays. Rival Samsung is working on stretchable and rollable displays for smartphones. However, LG does not show an interest in competing against Samsung with its own new technologies intended for mobile displays. LG also does not have plans to release a foldable smartphone due to doubts of demand. Pricing for a 65-inch rollable TV is not yet available, but needless to say if you need to ask about the price, this is probably not a product for you. A standard current generation 65-inch OLED will set you back nearly $2,600, so a rollable option will certainly be north of that.